In het origineel van het hieronder opgenomen artikel bevinden zich video's, alleen die waarop te zien is dat de 14 jarige Uthman Rami Hillis wordt doodgeschoten kon ik op YouTube vinden, voor de rest van deze video's zie het origineel via de link hierboven. 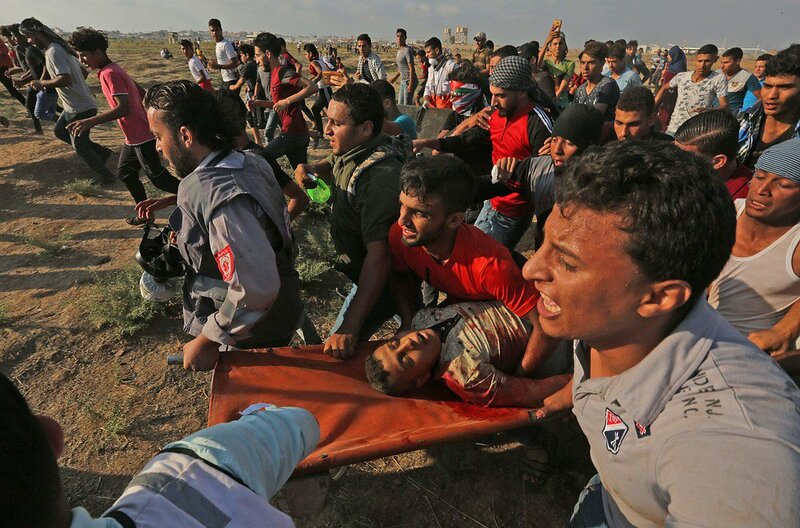 Israeli snipers killed a child on Friday and fatally wounded a second person as Palestinians marked more than 100 days of Great March of Return protests in Gaza. 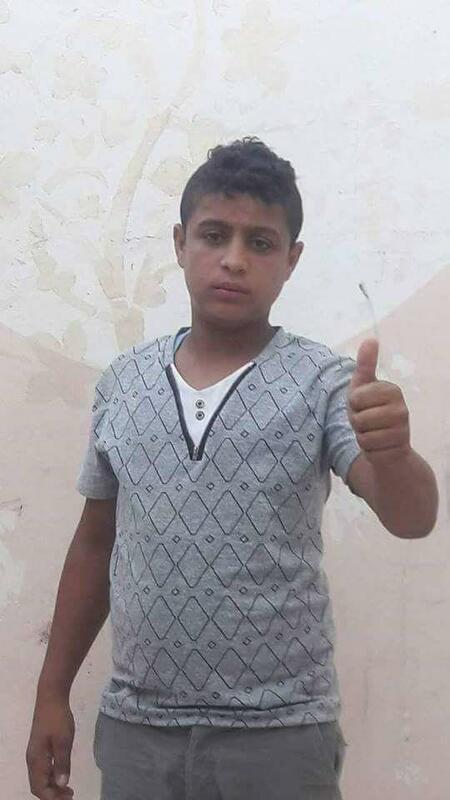 Uthman Rami Hillis, 14, was killed by live fire, according to the human rights group Al Mezan**. Hillis, from the neighborhood of Shujaiya, was shot by Israeli forces stationed across the boundary east of Gaza City, the group stated. On Saturday, the health ministry in Gaza announced that 20-year-old Muhammad Nasir Shurab had died of injuries he suffered the day before when he was shot by snipers east of Khan Younis. Defense for Children International Palestine shared a video said to show the moment Hilles was shot. It shows the boy climbing on the separation fence along the Gaza-Israel boundary, but presenting no direct or mortal threat to anyone at the moment he was killed. 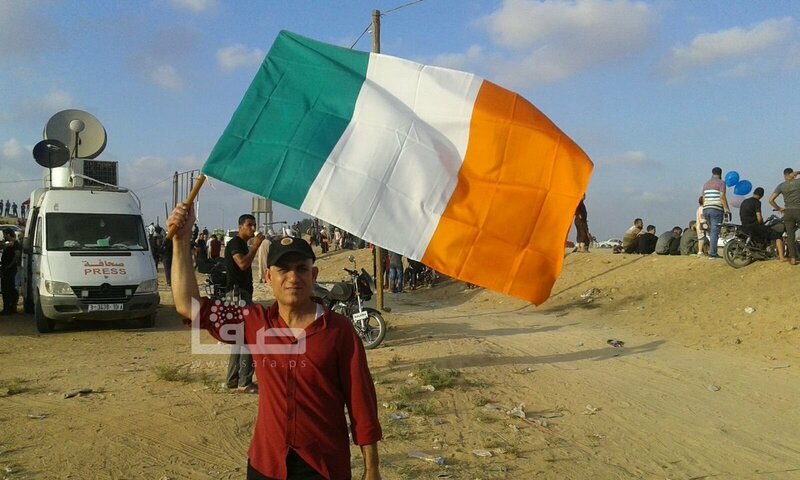 Palestinian media circulated this photo of Hillis following news of his death. Video showed distressing scenes as relatives mourned over Hillis’ body at the morgue of al-Shifa hospital in Gaza City. 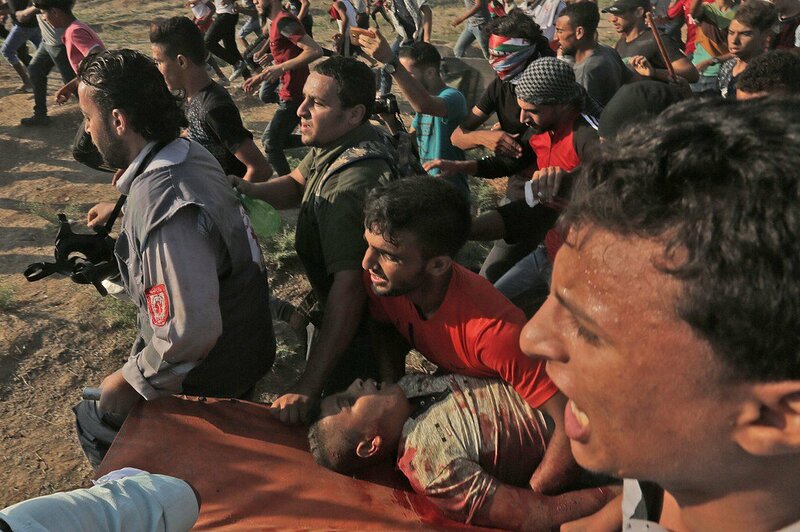 Before Hillis’ death on Friday, the UN humanitarian monitoring agency OCHA reported that 21 children were among the nearly 150 Palestinians killed by Israeli forces in Gaza since 30 March, the vast majority of them during protests. More than 4,000 others have been wounded by live fire. في جمعة الوفاء لـ #الخان_الأحمر..مسن فلسطيني من شرق خانيونس يوجه رسالة لأهالي الخان الأحمر. Overnight Friday to Saturday, and again on Saturday, Israel carried out air strikes across Gaza. Israel began the attacks Friday night “in response to an Israeli army officer sustaining wounds after a locally-made bomb was thrown at him at the borders of the Gaza Strip,” Ma’an News Agency reported, citing Israeli media. On Saturday, Israel resumed bombing Gaza and claimed to have carried out the biggest daytime attacks on the territory since its 2014 assault. #GazaUnderAttack right now, drones and jets have hit many sites in all areas of the #Gaza strip. On Saturday, Haaretz reported that one rocket “exploded near an Israeli border community,” but that there had been no injuries. The health ministry in Gaza said that by Saturday evening one person had suffered moderate injuries due to the ongoing Israeli air attacks. On social media, Palestinians in Gaza reported loud explosions from bombing that appeared calculated to terrorize the population. Ali Abunimah: Co-founder of The Electronic Intifada and author of The Battle for Justice in Palestine, now out from Haymarket Books.